Six months update on my first proper trucking job. Sorry it's a bit long but it may help one or two newbies like me. First of all this job is not for the faint hearted. Lots to learn. I mean lots. Rarely a day goes by were everything goes as planned. Take last night. I-376 Tunnel and surrounding roads closed in and out of Pittsburgh because of protesters. Try using navigation to get your way out, nav systems like Waze are geared towards car drivers, and even my trucking navigation app kept wanting to send me back onto roads affected by the protest. In the end got on the phone to my wife who saw where I was and managed to get me along an alternate route, unfortunately this involved negotiating along small narrow residential streets with vehicles blocking the road and low trees and bridges to worry about in the dark. To make matters worse an alternate route was affected by a landslide and completely closed off. Very very stressful. This is a route I have done many times but did not anticipate any problems so in future I intend to familiarise myself with the area I am going in case there are any unexpected road closures. I made it back but I know there were other drivers from my company were still out there trying to find a way back. Other info for people starting out- dropping and hooking trailers, always check the 5th wheel is locked and secure by going under and shining a torch and making sure it is secured properly, know of one or two instances where people haven't checked and they have pulled away and trailer has dropped, in one example it happened with a loaded trailer into the start of the journey resulting in trailer breaking in half. Do a good pretrip on trucks and trailers. I know for a fact that some drivers hook up and are away, I have come across some pretty serious issues after doing a pretrip, ones that would have been longstanding, it amazes me when I see drivers jump in a truck at the start of their shift without checking anything, or same with hooking up to a trailer. Check your load. Sometimes my loads will be strapped but never assume this has been done correctly. Get in and check and make sure it is tight and if necessary add an additional strap or use a bar. Cranking gear on trailers can be difficult to rotate and can work different directions so bear this in mind! Recommend buying a dash cam, got one for $20, some people are very dangerous on the road, not a day goes by without there being some idiot pulling out in front of me or cutting me up and if the worst were to happen I would have a bit of protection. Reversing-do it slowly, never be afraid to get out and look especially if you are instances where you have to do it blind side. If you are in a lighted place like a dock area with other drivers around at night dim your lights so you wont dazzle other drivers trying to park up. Keep to the speed limit, no excuses. Easy to drift over especially if you have a truck that will go 75 or so especially on a turnpike with a full load! Delays are inevitable. Do not go over your 14 hours. Its your call whether you think you have time to fit in another run. Dispatchers just want the load out whatever but it's your call. You will find some places you go to are slower than others at unloading or having spare trailers, you will get to know which ones! I have had one instance where I had to take a full load back on account of them not being able to live unload or having an empty trailer I can take back, our company does not allow driving distances by bob tailing except in extreme circumstances. Have a positive attitude. Goes a long way. Be polite. Treat people the way you want to be treated. Most truckers want you to do well but I have been disrespected by one or two other drivers for absolutely no reason. Some drivers think they own the truck, on one occsion I was an hour late in returning with the truck I share for no fault of my own and he resorted to personal insults. One or two drivers had warned me this guy was a 'nasty piece of work' and they weren't wrong ! To resolve this I told him what I thought of him, and the next day asked my boss could I use one of the spare hire trucks-problem solved! Thankfully its the type of job where 95% of your time is on your own so I can easily ignore the arseholes, every company has them but you will find most fellow truckers want to see you succeed and do well, and will do everything they can to help! Hope this post helps some of you, good luck out there, overall it is a very good job! I'm a rookie driver and have found out that the vast majority of trucks for the company I drive (think big drinks company) are mostly automatic so an automatic restriction may not be that big of a deal than it may have been a few years ago. I find the more experienced truckers tend to choose to drive the 12 speed manual transmission trucks but I prefer the automatics, so easy to drive (especially given my arthritic knee joints) and they still give the choice of operating the gear changes manually. Maybe trucking companies that don't work within the law? You have to be a citizen to get your CDL A. I'm not sure if a temporary visa will even work. If one of those trucks got pulled for inspection, they'd be as screwed as screwed could be. It'd be nearly impossible to insure the trucks. Deportation, hefty fines, revocation of business license, jail time. More risk than it'd be worth. I'm not entirely sure why you're concerned with this at all anyways? Not quite a citizen. I have a Green Card and have a CDL A, Hazmat and TWIC card. Thanks, its a really great job, so much to learn but I will never ever get complacent. Got a call at lunchtime today, got a 6pm start till finish run all week, about a 280 mile round trip, but almost all turnpike so hopefully not too bad. Really looking forward to it, right now I would work for free just to build up experience, best not tell my employer that though! Great to hear you did a proper pre trip! That definitely would have been a costly repair. Thorough Pretrips are always important but when your driving a different truck i feel it's even more important. Unfortunately many drivers don't even do their inspections when slip seating because they think the next guy will and have any repairs taken care of. I've seen some guys for other companies that rent spaces at same yard as us not even get out of their truck while logging their pre/post trip! This isn't a problem with the guys I slipseat with but I've heard from drivers with other companies they deal with it frequently. As far as your backing goes don't worry about it. You didn't hit anything and you got it in, that's all that matters. If it takes you 2 minutes, or 2 hours as long as you don't hit anything you were successful. Sure it may be embarrassing or stressful, but not as embarrassing as hitting Something. Great work! Started with a big multi national company, my first proper driving job, is only a part time position, effectively zero hours contract so need to check in daily or they contact me if there is work. Did my initial safety/orientation training and road check earlier in the year, but only started driving with them in the past week due to them being slow and my own ongoing work commitments. On Wednesday did a short round trip of about 150 miles with the safety guy in the passenger seat. Loaded trailer on outbound, empty one on return. Thought I did OK with the driving, dock reversing, changing trailers etc, nothing too difficult, included turnpike and mountain driving in fog and rain but no issues. They asked me to come in the next day for the monthly staff meeting. After the meeting I thought I'd be off home but the boss pointed to a tractor and said hook that up to trailer such and such located in a yard a mile away, come back to have the load checked and then haul it over to a place about 60 miles away! Couldn't believe it, was expecting at least another week or two training! Here is the importance of a pre trip guys. I looked under the hood and there was evidence that engine oil spewing over the top and middle part of the engine, on the hoses and underside of hood. It was difficult to pinpoint where the leak was but there was no leak under the truck. I struggled to pull out the dipstick cos it was the wire type and was badly twisted and bent. When I got it out uess what, no oil at all showing on the dipstick apart from a clag of oily debris right at the end! Brought to attention of supervisor who thanked me and pointed to another 3 tractors, basically pick one of them! Everything else went pretty well apart from taking a bit of time reversing in a tight alley dock which held up a few of the guys but got it in there at the end (Iput this down to fatigue), but I stayed a little while to watch how the pros did it, they make it look easy as reversing a car into a regular parking spot yet it took me about 6 attempts, I did better on my CDL test-must improve! Paperwork also a bit overwhelming as well as trying to get head around in cab computers etc, but all in all a really enjoyable, but exhausting day! Really pleased with myself as its my first proper driving job since I got my CDL A last summer and it's certainly the first time I've ever been trusted to take a truck out on my own. Had some road driving experience in the military 30 years ago but it was very limited. This job really suits me as it's home every night and flexible enough to allow me to continue with other part time job. The pay is $20 an hour and includes other benefits, not bad for this part of the world! Looking forward to my next adventure, hope they have something for me on Monday! Thanks for the further responses. I really want to make the right decision because I'm now 50 and keen to find something I can do for the next few years or even take me through to retirement so finding the right job with a good company is very important. Sometimes I wish I started trucking earlier when I was younger and fitter, and single and without kids as going down the road seeing different places would have been awesome, but I do believe there is a truck driving job to suit everyone but my requirements restrict me somewhat. Thanks again, your opinions do help, even if they do vary! Wanted to ask opinions from people on here about what to do as regards a job offer. Got my Class A CDL in July. Shortly after I secured a driver position driving reefer trucks delivering foodstuffs to grocery stores. Great employer but only worked a few weeks due to postal worker job I'd applied for much earlier becoming available. Been working at the post office, it's a good job, delivering mail in the countryside but quite simply the hours aren't there and there are zero benefits. Did think about asking for the previous driving job back, they are advertising again and I left on good terms but the big drawback is that it is too far away and the hours aren't great. During the past few months I kept my fingers in the CDL pie, looking for suitable positions, I also got my HAZMAT endorsement. 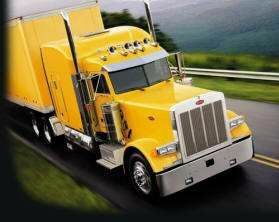 I have very limited recent experience (have military tractor trailer experience but that was a long time ago), consequently most job opportunities I see for someone in my position are for OTR drivers with the big companies. I want something where I am home every night or 90% of the time, and I do not want to work nights, more of a 9-5 job if you like. To this end I'v been offered a job with a local company, driving a route delivering gas from a tanker unit to businesses and residential homes. The hours are great, 730 to 430 M-F with overtime opportunities. Full training, uniform and other benefits and I will be able and I will also gain HAZMAT experience. The pay isn't great, starting at $17 an hour but is negotiable. The only fly in the ointment is the job requirement is for a Class B driver. My concern is that if I took this job and then in the future if I went for another driving job, would the Class B driving experience count towards me getting a Class A driving position or would it just benefit the HAZMAT side only? My only realistic alternative Class A driver job prospect here in rural PA for me right now, is hauling milk, but the hours aren't great. Any advice would be appreciated. Truck driving is a tough gig, especially OTR, and clearly isn't for everyone. I have made a similar decision. I recently got my CDL (Class A), and I briefly worked for a local haulier and was offered another driving job, but have since started working at the USPS as a rural letter carrier. Money and hours are OK, and although it will take a few years to become a 'regular', my wife is a doctor so I'm in a fortunate position where I don't even have to work, but like someone said on this forum, I think it is important for a man to do work of some kind! Good luck to you! So I'm thinking of relocating and driving a truck in the States, I drive one here in the UK, have done for 10 years or more, guess you're all gonna tell me not to bother, or maybe you'll help me live my dream. Immigration Forums elsewhere on the web will be your best bet as you will need a Green Card to work here legally (I'm assuming you aren't a US citizen). Is Community College Training a bad idea? So you got a job right away and you didn't like it. I'd guess if you were making great money you would have liked it. Now you're going to leave and start over somewhere else with no seniority and no proven track record of performance. It's going to cost you even more money transitioning from one job to the next. So that $2,000 tuition has to be weighed against what you would have been paid to get your CDL at a company-sponsored program and against the wages you would have made if you had gotten good miles and made good money straight out of the gate with a company you were happy with. Yes 20 hours was not a typo and actually the money was very good! The reasons for me leaving are personal and not taken lightly, from what I could tell they were a good employer, we left on good terms and I was respectful enough to let them know it wasn't for me during my training period with them. At the end of the day you can only determine whether a job is right for you by actually going out there and doing it. If staying with an employer for such a short time has a detrimental effect on my chances of being hired then so be it but the guy taking me on now understands my reasons for leaving my last job, I have nothing to hide, my mantra is that honesty is always the best policy. Also at my stage of life I have come to realize family and health are the two most important things, and I want a job that provides a good work/life balance, and I am optimistic this next job will be more suited to this need. As I read more and more on this site I am realizing that most everyone is going through a company sponsored training. Am I making the wrong decision to goto a community college? I already have medical card, and learners permit. Orientation is tomorrow with drug testing. Then class starts mid to late October. I chose this route honestly because I am not sure the direction I want to go with trucking. I attended community college. I opted for their 20 hour course and got my CDL at first time of trying. Got a job straight away. For a number of reasons I won't go into it wasn't to my liking. Just been offered another job so would have to say the community college route suited me fine and only cost $2000 for everything and I am completely a free agent! To be legally employed in the US you will have to either be a citizen or have a Green Card, it's that simple. Joined USAF at 17 in 1985. I was based at Avon Park Air force base in Florida as a heavy equipment operator. At 18 I was putting heavy equipment, including D9 bulldozers, on the back of low loaders and let me tell you driving this massive beast up a ramp and onto the back of a low load trailer (a trailer always appeared a quarter of the required width), was no easy task and took nerves of steel, especially when going over the rear trailer wheels where it felt for sure you would tip off the edge. I would typically transport heavy equipment to different parts of the base, the total journey was never more than 20 miles, but felt much much longer due to having to negotiate narrow, twisty, uneven, sandy and poorly graded roads and over rickety bridges. We occasionally drove off base, this was really easy in comparison to driving on base although Tampa city center during rush hour was a test for sure. I then moved to the UK where I attended university. I became a CSI and did it for nearly 20 years. Recently re married and now back in the states. Just obtained my CDL so I am very much a newbie, but the experience I had in the military will hold me in good stead, even though it's been nearly thirty years. Very much looking forward to starting a new job with a local company who decided to give this Newbie a chance, it's not great pay but they are an honest, highly rated company, where driver turnover is very very low, more than anything am looking forward to being home every night with my family, who are the most important thing in my life. I know no-one is asking me and this is not that relevant to this specific topic but I'll say it anyway, the best advice I can give anyone from my 50 years of life both in the UK and the US is always give 100 per cent in any job, but first make sure you do as much research about a particular employer or job role prior to agreeing to do it, this will avoid wasting your time, as well as that of your employer. Lastly, having work and a job is very very important but no job is worth more than your family, your health and friends. Failing at backing and driving at Truck Driving can I ever make it as a driver? I nailed the alley dock reversing during my CDL test, only got out once to check if trailer in end box, yet I struggled with offset parking and even though I passed and got my CDEL during the road test I missed gears, I brushed the trailer wheels against a kerb (luckily instructor didn't notice cos I think this would be a fail), at the end of the test the examiner said it wasn't pretty, but passed me. Fact is we all have strengths and weaknesses, my own is changing and finding the gears but I think the examiner was generous on the day and could see I was overall a safe driver. From someone who has just gotten their CDL, the best tip I can offer when reversing is do it slowly then you have plenty of time to make corrections when you see the trailer going the wrong direction. Also keep the angle between cab and trailer as shallow as you can by starting your turns early, especially with alley docking. Remember when reversing, Righty Tighty, i.e. turning the steering wheel to the right will bring the rear of trailer in towards you, Lefty Loosely, away from you, OR when you turn the steering wheel travelling in reverse, the trailer will turn in the same direction as you turn the BOTTOM of the steering wheel (as opposed to the top when driving forward). Years ago I learned to fly and the instructor let me go solo after 4 hours, you will not be allowed on the road solo in a truck after this short space of time, this says a lot about how much there is to learn but you will get there, stick with it! Now comes the hard part for me, finding a job!!! I think I may be getting confused between OTR and Regional, it must be a Regional gig then. Yes I agree that hauling milk may best be left to experienced truckers, I joked to my wife that with me driving it would probably start off as milk but end up as cheese by the time it's offloaded! Schneider is probably the best place I can start then, will update you all on the outcome of the interview, I recall them saying that the intakes are every Monday. After recently obtaining Class A CDL I have a telephone interview with Schneider arranged for Monday. They have already offered me a conditional offer of OTR employment, promising weekends home. If accepted they said something about 18 day training in Chicago (forgot to ask whether I would have to pay for this). Schneider seems to have pretty good reviews, I will continue to trawl through the forums to get as much info as possible about them, meanwhile does anyone have any suggestions as to the type of questions I should ask the recruiter on Monday? The other possible option is hauling milk tankers between farms here in western PA, a couple of potential employers have said they may take my military background driving into consideration, but would have to speak to their insurance companies first, but they did seem quite keen on me as an applicant, at least over the phone. Has anyone had any experience with this type of work, I'm guessing it's not easy with having to make several drops, but the big advantage is being home every night and knowing what you are doing day to day! Thank you. I will be sure to ask anyone from Schneider who happens to contact me about any jobs they may be closer to home.